1. The mortar and pestle test: When moulding a few grains of rice with a mortar and pestle, if the powder gives a quite white colour, you are good to go but it has a yellow discoloration, your rice must be fake. 2. The fire test: You know what plastic smells like right. So, get a lighter and burn a handful of rice. If it catches fire and smells like burnt plastic, you have fake rice. 3. The water test: Get a glass of cold water. Pour a tablespoon of raw rice in the glass and stir. If the rice goes to the bottom, it is all good. If it floats at the top, be careful because it means it contains ‘plastic rice’. Do not eat. 4. The mold test: Boil the rice. Leave it in a warm place for like 2-3 days. If mould does not appear in a few days, your rice is fake and should not be consumed. It will not get mould because plastic is not affected by the weather or temperature. 5. The boiling test: Observe the rice while boiling. If it starts forming a thick layer at the top of the pot, it is ‘plastic rice’. 6. The hot oil test: Just take some of the rice drop into some real hot oil. If it is plastic, it will melt or stick together or stick at the bottom of the pan. 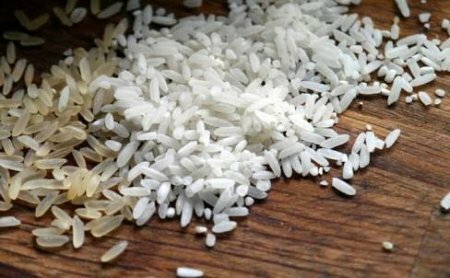 Share these tips with your friends and family so they do not end up eating ‘plastic rice’.